With our Vietnam Family Holidays & Tours collection, you would find a perfect travel plan for every member in your family that would suit all travel tastes, including a wide range of activities for the kids and well-earned relaxation for parents. Your family can visit attractive destinations, relax in beautiful beaches and at the same time, experience exciting activities designed to make you all closer. In addition, our Vietnam private tailor-made holiday will give your family the freedom to create your dream vacation and build up lasting memories together in the most comfortable schedule. Give Vietnam a chance, and we will blow your mind. What we offer for your Vietnam Family Holiday? It is obvious that children will require different kinds of activities than the old customers, family demands are not the same as a group of young travelers. Understanding that family holiday is the precious time to bring every generation together, we customized private Vietnam tours designed based on your needs and your children’s care. With the experience of providing the customized Vietnam tour for private group, and the knowledge of the service supplied, and more than that, the love for the family and children, our Vietnam holiday customized service is selected from many great choices. Not only taking consideration from the inspection trip, the introduction of the supplier, but we listen to the review of customers and the requirement of each family to deliver the most suitable package with the most comfortable service. As your tour is a private holiday customized for your family only, then if you have any special request, or additional requirement, don’t hesitate to let us know to we will try our best to assist your family the most. Why choosing Vietnam for your family holiday? Many of travelers always wonder what Vietnam would be like. Thousands of imposing limestone islands, impressive rice paddies and friendly ethnic minority, the colorful lanterns streets and long wild beaches? Is it possible for all wonderful landscape in only one Vietnam? More than brilliant natural prestige and rich culture, Vietnam is one of the sorts of destinations with pretty mixture of unique interesting. When joining a Family Vietnam Holiday, you can spend a night tasting the local dinner and try some mountainous wine when staying in the northern mountainous area, then you can have chance to talk with happy hard working farmers and experience a day in rural Tra Que Herb village when travelling to the Central and reach Hoi An. Moreover, when heading to the South, your family will be warmly welcomed by the sympathetic friend in Mighty Floating Mekong Delta and your kids will receive a new sense of appreciation for life. A trip to Vietnam will help your kids to learn a variety of the long Vietnam history and local life. From visiting the Ethnic Minority in Hanoi and explore the life of 54 minorities in Vietnam, to the Imperial Citadel in Hue and experience how the king and royal members lived in the old time. There are many ways to explore the traditional life of the local residents and Vietnam has a variety of lovely options offered. For a unique folk art, when travelling to the North, the Water Puppet Show will tell your children about the long history of Vietnam with lovely puppet, nice folk music and exciting water performance. What is more relaxing than letting the beach white-topped wave of Hoi An, Nha Trang, Mui Ne or Phu Quoc to ease all your busy stress sparing time of your Vietnam Family Holiday in the stunning beach under the blue sky. Whether tasting the food in fine-dining restaurant, or enjoying a meal at a local farm in the outskirts of town, or having meal in the street vendor, the superb food will meet the demand of your family members and never let you down. The favorite dishes in Vietnam that appeal many customers can be suggested as: Pho, Banh Xeo (rice flour cake with pork, shrimp, onions and bean sprouts), spring roll and seafood. Knowing that living as parents, you will find it hard to truly relax until you know your lovely kids are safe, happy, and occupied. When it comes time to take a vacation, especially in Vietnam, let’s take a consideration into our suggested list. These properties have been selected for their exceptional facilities, as well as their comfy lodgings and variety of programs, and the very helpful staff to help parents and young children find home away from home. A 4 Star hotel in Hanoi Old Quarter with the spacious family and a lovely pool, your family will find relaxing time here. Situated in the heart of Hanoi Old Quarter – Tirant hotel is a perfect choice for both business and leisure travelers. Especially, with large room, outdoor pool, helpful staff, the comfort for your family is ensured here. Comfortable Apartment with refreshed kitchen, modern living rooms and pretty bedrooms, Somerset Grand Hanoi will deliver great conveniences for your Vietnam Family Holday. With modern and local designed spacious room, with magnificent view to the nature, the hotel is believed to bring your family a cozy and comfortable living space. With private unique mountain bungalows, family with teenage will fall in love with this place for not only magnificent view endless valleys dotted with ethnic minorities’ villages, or the private space for parents, but your child will be excited about hiking or biking activities provided. Traditional design in perfect harmony with the natural scenery, with spacious family studio accommodating up to 5 persons, Victoria Sapa resorts will give your family great time together in lovely Sapa Town. With private bungalows situated in remote idyllic location with fantastic nature, Ninh Binh Valley Homestay will be a perfect place for your family to lay back and relax. Your kids will absolutely enjoy the fishing and swimming in the lake in front of the bungalow. A modern 3* hotel in the center of Hoi An, with the connecting rooms for family, your stay in this peaceful town will be one of the memorable part in the Vietnam Family Holiday. Established on the bank of the romantic Thu Bon River, 4-Star Vinh Hung Riverside Resort & Spa blends Vietnamese tradition with modern facilities, offers our family gracious hospitality and impeccable service. With very peaceful, serene, and pleasant natural surroundings, the resort will make your family feel comfortable. With the careful attention to detail, your family stay can be assured of excellent service and dedicated, friendly, and noble customer care. Designed for those who appreciate the tranquility, Mia Nha Trang is one of the perfect places to find peace, relaxation, and comfort. With various kinds of room, fine-dining restaurant and wonderful spa service, your time in Mia Nha Trang will be a precious gift to rejuvenate your senses and soul. A great place to laze around and relax with spacious room, with sand stunning beach, nice swimming pool, lovely staff, beautiful scene from cable car and especially easy access to amusement park, your family will be fascinated when spending your holiday here. Sea Links Beach Hotel is Vietnam’s first all-resort complex integrated in Sea Links City. With 188 elegant rooms and suites, four palatial-sized pools, restaurants and bars, spa, recreational amenities and the largest meeting facilities, the resorts will provide modern conveniences to every family. Located near Ben Thanh Market, Silverland Central and Spa is one of the good hotel choices with numerous shopping stores and restaurants nearby. Your family can have a pleasant time in large Family Suite Room with a very affordable price. A clean and centrally located hotel for medium range budget, your family can choose to share together in a large Family Room or stay in connecting rooms to ensure the privacy and freedom for all members. The staff crew is courteous and keen on assisting whenever you need. A pleasant stay in perfect location for your family with connecting rooms of Deluxe Room and Premiere Riverview, your family will feel homecoming with warm staff, lovely rooms, nice hotel pool and great restaurant. Rex Hotel is one of the most luxury hotels in Ho Chi Minh City. Located in the center, it is easy to walk to many attractive sights in the city. With two out-door swimming pools, overlooking the hustle & bustle of the central town, your kids will find the comfort in the travelling time. Your family can feel pleasant in the Family Garden view villa in a picturesque garden. You can easily walk to excellent beach site with full time security guard, relax at the swimming pool and fall in love with the place because of the very helpful staff here. Known as one of the best Beachfront Hotel in Phu Quoc Islands with beautiful location, great room and helpful staff, Mercure Phu Quoc Resort & Villas will give your family a hassle-free holiday with well trained staff and high standard of International Accor Hotels Group. One of the must-see when visiting Vietnam, Halong Bay – the World Heritage site, the cruise bay trip with kids will appeal your family more than just touching the beach. The time will be a memorable story with a mixture of outdoor activities: go kayaking, go swimming, visiting caves and relaxation on board. Just imagine how beautiful of swan cruises are nicely sailling pass an amazing dragon bay of Halong with professtional hospital services are being care by well training staff and crew members on board that will promise a great cruising holiday in Halong bay. Providing the connecting Suite Cabins with private terrace and large rooms, together with friendly staff, exciting schedule and good service, Stellar Cruise will brighten your Vietnam Family Holiday on the bay. Stellar of the sea is the newest modern 5-star with 22 elegant spacious rooms, full of finest comforts such as fine dining, the panoramic bar, wine and cigars cellar, golf club, seasonal swimming pool, beauty spa & massage, children playground... They cater for families, small group, couples and individuals. Being one of the newest modern cruises, Azalea Cruise has become a friendly and reliable partner for all international tourists during their Halong bay trip. The cruise highlights itself with a very short enjoyable travel from Hanoi to Hai Phong (only 2 hours driving) in a 7 seater Limousine, and numerous wide deluxe cabins that are designed for family with kids, will give your family amazing experience in Halong bay. Era Cruises are the luxurious and newest Cruises in Halong bay which is promisingly becomes one of the well-known finest Boutique Cruises at the end of the year. They will create perfect choices for travelers immerse super luxury and delight spaces. With amazing 5 pllus star standard and well-trained crew, Era Cruise promises to bring your family incredible services and truly memorable experience in Halong bay. Orchid Cruise will be an excellent choice to highlight your family holiday in Vietnam. With superb staff, amazing food choice, luxurious room and wide range of activities cruise, you will be very happy with the cruise selection. Is there any differences between your classic tour and family holiday ? Will our family join any group in the holiday? Our service is a private tour so only your family will be on the trip. The car, guide, room is a private service to make sure the private and the comfort for our family. Moreover, as a private trip, the schedule is very flexible for us. If your children need time to relax, or you would like to start the our later, don’t hesitate to share us for a more comfortable trip. Is it possible for the whole family to stay in one room? Yes. Normally almost of all hotels will provide a large family room for a family to fit. Moreover, if we have special requirement such as the connecting rooms not only to keep your kids in control but still have the own privacy for the parents, feel free to share us for a better service for the holiday. Is the guide friendly with kids? Yes – our Vietnam Family Holiday tour guide are all experienced in working with children. They are friendly, helpful and have a great empathy with the children. What is the minimum age for children to join the tour? Although our tour is very flexible and we can customize the program for our family, sometimes if the children are too small, they cannot totally enjoy the trip. Our staff will take care of the logistic to ensure that your trip runs smoothly, but parents must be responsible for children at all times. When considering time to go to Vietnam, it poses a difficult question to get the best answer as there is not really a right or wrong time to visit Vietnam without experiencing not only the sunny days but some rain in different quantities. Known as a tropical climate country, Vietnam is typically humid and hot, the temperature and weather can change considerably along the country. While there is monsoon in the North and people need wearing layers of sweaters and jacket in the mountainous North, many visitors are still enjoying the Southern sunny beaches. As the locals, our travel consultants are very happy to share you the recommendation for a most suitable schedule. Make sure that you have told our staff your wishes and we will try our best to assist you better. The itinerary and the time frame is designed based on the balance of activities and relaxation then it is not too hard for kids to join and play during the tour at the most comfort. As the schedule is outlined based on the general knowledge and experience while working with kids, it would be much better if parents can take consideration into the itinerary and share us any of your idea for the most suitable itinerary for our family. A Passport with more than six months validity and Vietnam Visa is required for most foreigners who are willing to come to Vietnam. Please check with the Vietnamese embassy in your country to get Vietnam Visa prior to your departure. In case you would like to get a Vietnam Visa on Arrival at the airport, we can support our family to arrange the Vietnam Visa Approval Letter. 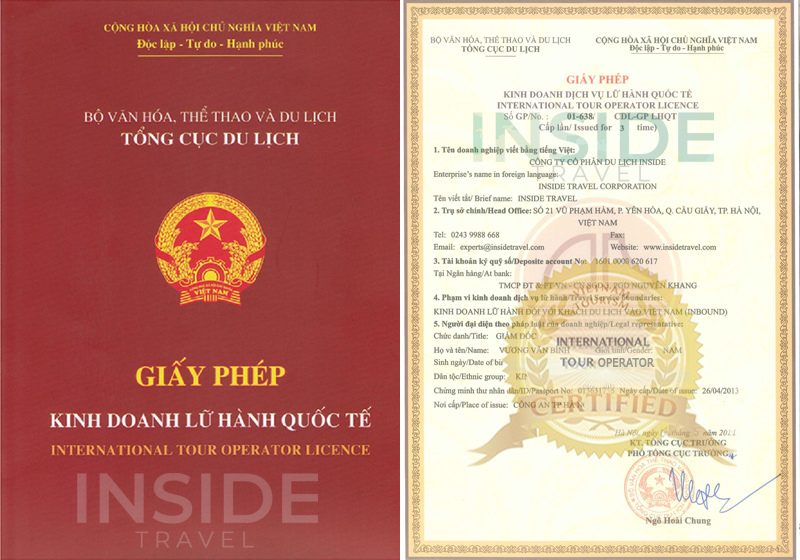 When receiving it, you will print and show it when arriving at the airport, paying the stamp fee and get Vietnam Visa. Vietnam Visa On Arrival is only accepted for the air entry. Please kindly contact with our travel consultant for a better advice regarding the Vietnam Visa Service. For families who love the tranquility and peaceful moments, Phu Quoc will be mentioned as one of the most suitable places for your vacation. Located in the Gulf of Thailand, Phu Quoc is famous for its extraordinary beauty with unspoiled white-sand beaches and quaint fishing villages. Customers can easily take direct flight from Ho Chi Minh City or Hanoi Capital to get there. Known as a metropolitan coastal beautiful city and a center of politic, economy, culture, technology, science and tourism of Khanh Hoa Province with a favorable climate by nature with a fast social development, Nha Trang is listed among the most famous seaside towns of Vietnam for beach lover year round. Your family will be offered the most relaxing holiday with lovely white-sand beaches and interesting scuba diving activities. Ocean ecosystem will surprise your kids by beautiful views of coral reefs, flooded forests, sea-grasses inhabited with a diverse of marine creatures. National Oceanographic Museum of Vietnam is a perfect place for young travelers who want to explore the secret of aquatic animals ranging from the popular species to the rare ones such as sharks, turtles, sea horses, lion fish. Otherwise, many islands in remote area such as Mun Island, Nhieu Island or Tam Island will surprise you by the charming unspoiled natural beauty ecosystem, a tropical green forest surrounding romantic stretching white sand. About 04 hours of driving from busy Ho Chi Minh City, we will arrive in Mui Ne beaches. Set on a coastal seductive southeastern part of Vietnam, belongs to Binh Thuan province, Mui Ne has been quickly favored by tropical beaches and strong sea breezes, especially kite-surfing and wind-surfing in the magnificent sand dunes. Your kids will love Mui Ne and will like to stay here more as there is joyful moment to play kite-surfing with strong winds and choppy waves, try to play sand sliding in a fairy sandy area with orange sand look like a hill with slopping sides. Wonderfully warm water is also perfect for swimming in the early morning. A day tour to get around the town, pass by the quiet fishing village of the local, or a beautiful little stream called the Fairy Stream will bring your family meaningful time together, not just relax but also time to learn more about the various daily life of local people. According to CNN Travel, Danang – the place tourists usually visit as a hopping-off point for the nearby heritage town of Hoi An, is acquiring the reputation as Vietnam's top beach destination. Danang has been known as one of the most developed vacation destinations in Vietnam for family holiday with a large number of white sandy beaches as well as leading luxurious resorts of famous international hotel chains including Intercontinental Danang Sun Peninsula Resort, Premier Village Danang Resort, NamAn Retreat, Fusion Maia Resort and Pullman Danang Beach Resort. Con Dao Island which is located 80 km off the coast of southern Vietnam is a remote island of Ba Ria – Vung Tau province. It has the first recognized marine Ramsar Site in Vietnam – Con Dao national park - a source of rich marine biodiversity and habitat of many plants and wild animals which is endemic in Vietnam and South East Asia. Combining a holiday trip with a local festival, your family will not only spare time to explore a new culture, but also enjoy one of the bursting moments with color and happiness. So which festival and events that your family can take a consideration for the plan? At the end of April, when visiting Danang, visitors will have chance to see the annual Danang International Fireworks Competition with the participation of 3-4 international competitors and the host - Danang City. On the 14th day of lunar months, the ancient Hoi An will turn off the lamp and light up the dark by flickering candlelight, multi-colored lanterns. Your family arriving in the ancient town will be lost in a magical space under the shade of lanterns in numerous alleys featuring handicraft products, costumes, broidery pictures and stones. A Hanoi specialty that appeals to even the US President Obama in his recent visit to Vietnam in 2016: Bun Cha - with fatty pork grilled on a charcoal brazier and noodle served with fresh herb, bean sprouts and a slightly sweetish sauce. Banh Xeo is one of the most favorite dishes of tourists when coming to Vietnam. It is made with rice flour, coconut milk, egg, and then fried with pork, shrimp, and a bunch of bean sprouts, and to complete the dish, you will wrap up the cake with lettuce or the rice paper. Your trip to Vietnam can be much localized when tasting Banh Mi – one of the most popular dishes of all classes in Vietnam. The children eat Banh Mi as the breakfast before going to school, the office staff can choose Banh Mi for their lunch, the young boys have Banh Mi after his soccer match in the afternoon, and the night-shift worker can bring Banh Mi to have energy for working. A refreshing change from the usual fried dishes, with a simple recipe, tourist can add grated carrots and bean sprouts, shrimp, pork, and herbs then wrap over and rolling the fillings and don’t forget to dip into the sweet sauce. It is said that you are tasting a relaxing summer in your mouth, isn’t it ? A popular Vietnamese dish containing rice noodle and beef which is greatly favored for spicy, sour, salty and sweet balance that your family can choose for every meal. Let us help you planning a dream Vietnam family holiday right now!